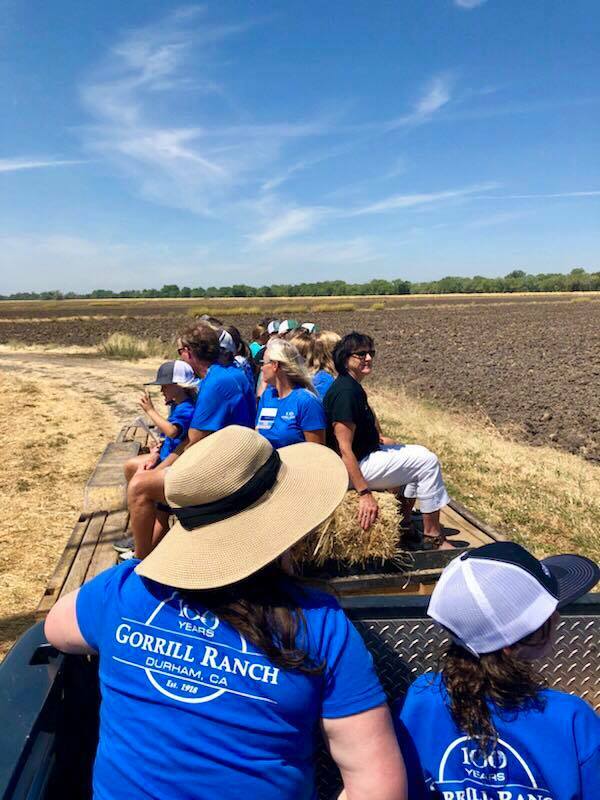 On Friday, July 20, our family and business had the pleasure of welcoming friends and community members to our farm in the beautiful Sacramento Valley to celebrate the 100th Anniversary of the Gorrill Ranch. The Gorrill Ranch is my family’s 4th generation family farming operation. We grow rice and orchard crops including walnuts, prunes, almonds, and pecans. During our day of celebration, visitors had a chance to tour and learn a little about our farm through stations highlighting different aspects of our operation, including a small gallery filled with family and ranch historical photos; a station about our rice drying operation with buckets full of rice at different stages of processing; an equipment station where guests could climb on some large farm equipment; and a hay ride out to Butte Creek to learn about our region’s salmon restoration project. The farm was founded by my great-grandfather, Ralph Gorrill, in 1918 when he purchased the initial land from the Leland Stanford Trustees. 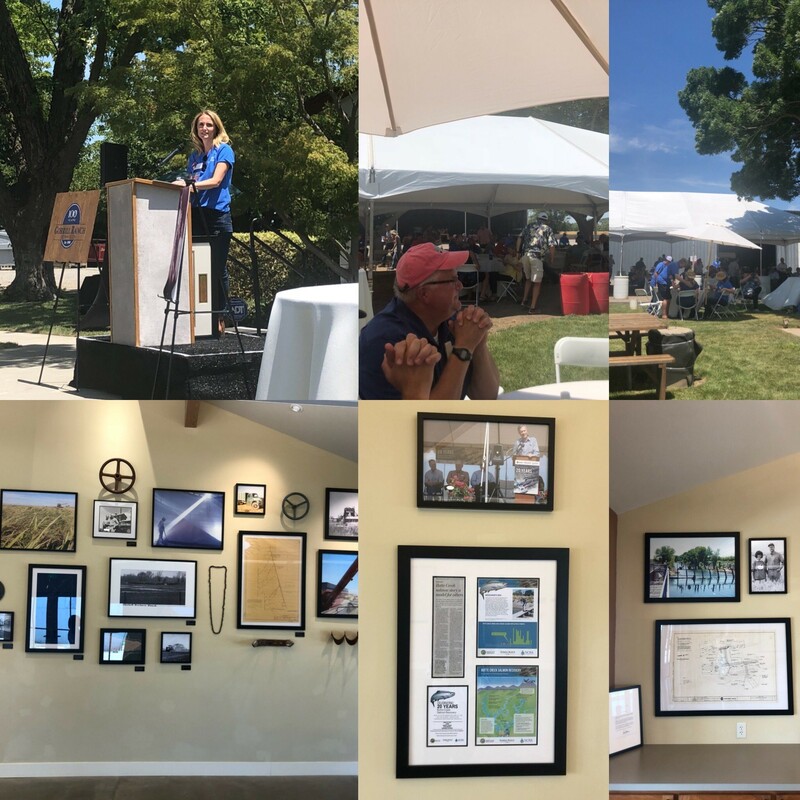 In the last few years, as our family and farm approached this important milestone of being a farming family in California for 100 years, we grappled with how to properly celebrate. Our farm and family culture is not necessarily one to wave a flag with a lot of pomp and circumstance. However, with this milestone we knew that it had been a journey to get to this point and because of that, we wanted to do something that would properly recognize the family, employees, industry, community, vendors and customers that have worked together through the economic times, political climates and regulatory changes that have shaped the business over the years. 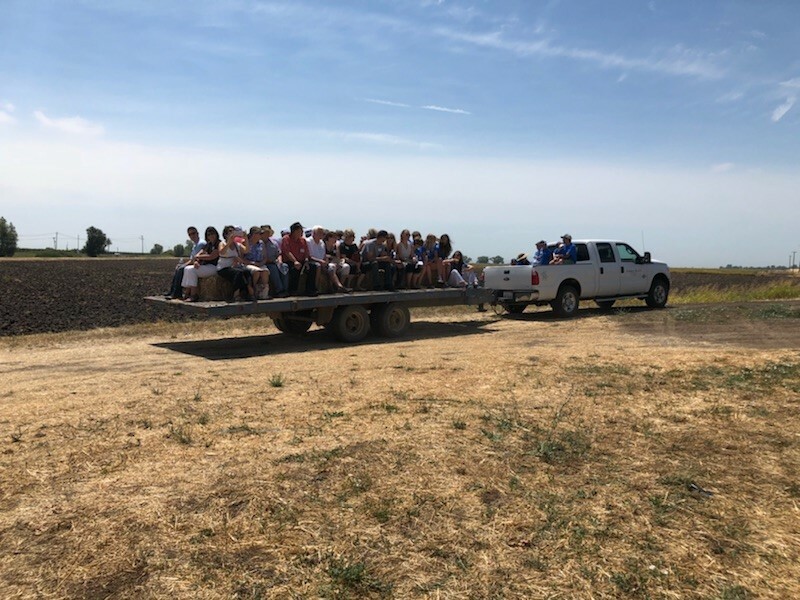 We also knew that with this milestone, we had an opportunity to share a little bit about our industry, about farming, and to provide information about how the people who continue to do this thing called “growing food” use land and natural resources sustainably for 100 years. 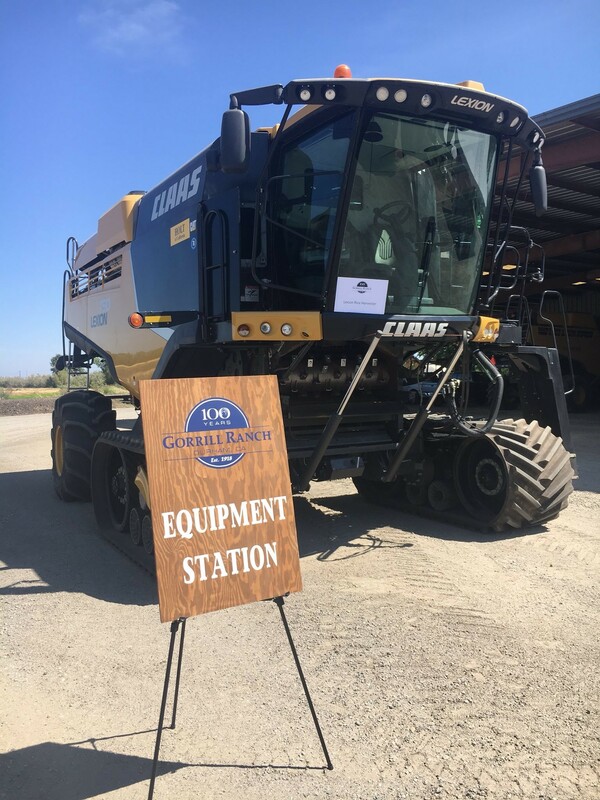 Ralph Gorrill, who was an engineer by trade, became a pioneer in the rice industry after he purchased the very ground that we farm today from the Leland Stanford Trustees in 1918. Throughout his life, Ralph was also a passionate sportsman and conservationist—values that continue to thrive in the Gorrill family. Upon his passing in 1964, his three daughters, Sally, Anne, and Jane guided this farm for many years. With the three women at the helm for several decades, they were able to pass it down to their children, our 3rd generation—the 10 grandchildren of Ralph Gorrill. Today, those 10 grandchildren have transitioned the farm to include their children, the 4th generation, of which I am a member. The statistics on family business making it to the 4th generation are pretty bleak: 96% of them fail before getting to the 4th generation. While we can attest to the challenge that remaining a family business entails—ultimately, our existence today is a testament to our founders, Ralph and his daughters. They instilled a sense of stewardship into their families and we attribute that sense of duty—in the form of stewardship—to our success. Most importantly, in order to be stewards of land, industry and community for 100 years it takes valuable partnerships. It was through partnerships with other rice pioneers that Ralph Gorrill learned to grow rice in 1918; it was through business relationships and partnerships with many of the guests at the celebration, that the Gorrill Ranch has continued to thrive after 100 years of political, environmental, industry, technological changes—many who work with us now and in the past know this and we thank them for being a part of the story. And most importantly, with water being so critical to the lifeblood of this state, as visitors learned from their tour to Butte Creek, it was through partnerships that the numbers of spring-run chinook salmon on Butte Creek have been restored from a mere 20 returning adults to over 10,000 today—marking one of the nation’s most significant fisheries restoration efforts. The success of that project centered around the fact that proactive leadership allowed people and organizations, often with differing interests, to come together to divert water for the benefit of not only the fish—but the farms, birds and other species that coexist along the Pacific Flyway. 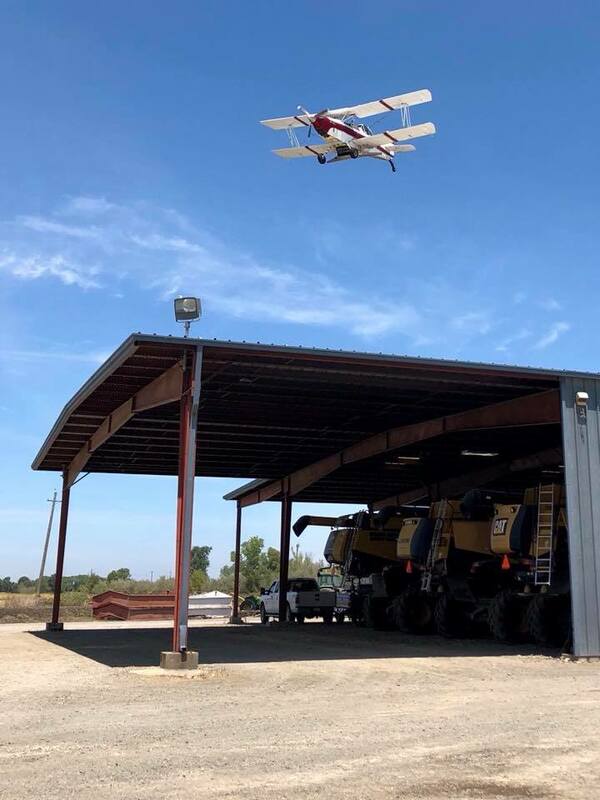 As those of us in California know the water challenges that will continue to face the state, we encouraged visitors to remember their visit out to the farm that day and keep in mind that if those of us up here in the far north of this amazing state of California can find successful partnerships, there may just be a way to make it work elsewhere. Tour photos from Jennifer Harrison.